Steve Brady, who has cared for the pianos at UW and the Governor’s Mansion, recently won his profession’s highest award, the Golden Hammer. When you read that Seattle resident Steve Brady has won his profession’s coveted Golden Hammer Award, what profession first springs to mind? If the answer is either “wrestling” or “construction,” chances are you don’t spend much time thinking about one of the indispensable mainstays of music performance, the oft-invisible piano technician. Brady, 66, who served as head piano technician at the University of Washington for a quarter century, recently received his occupation’s highest honor, the Golden Hammer award. Bestowed by the 3,800-member Piano Technician’s Guild (PTG) at their annual convention in Norfolk, Va., the award celebrates Brady’s four decades of service to the Guild and the industry as a whole. Brady’s list of accomplishments could easily comprise a major Wikipedia entry. Besides a quarter century tuning UW pianos for the likes of Murray Perahia, Alfred Brendel, Andras Schiff, Garrick Ohlsson, Emanuel Ax, Peter Serkin, Claudio Arrau, Alicia de Larrocha, Andre Watts, Vladimir Feltsman and Evgeny Kissin, he spent five years as head piano technician for the Aspen Music Festival & School. 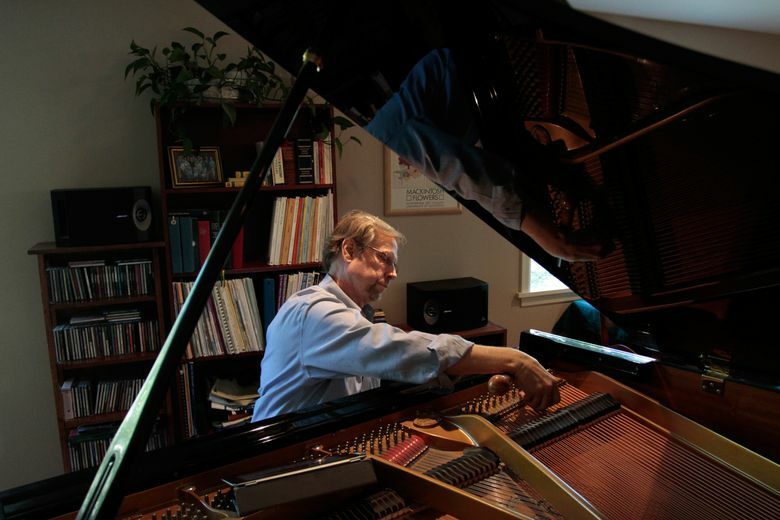 When you add in his ongoing care for the piano in the Washington state Governor’s Mansion, where he began working in 1989, and daily work with private clients, it’s amazing he’s had time to prepare his third book (which will include lengthy profiles of pianists and piano technicians), serve as president of two chapters of the PTG and spend five years editing the internationally-distributed Piano Technicians Journal. Equally important to regulation and tuning is voicing. At UW, even before pianists arrived at Meany Hall, Brady listened to their recordings to determine if they preferred a bright or mellow sound. Hélène Grimaud liked the sound so bright and brassy that even after Brady had voiced the piano in advance of her arrival, she asked him to “bring it up” even more. Brady admits that there are some “challenging personalities” which make his work even more rewarding when he gets a piano to sound and feel the way they want. “Things can get weird when people really identify with their instruments,” he said. “A friend got sued because a woman claimed that his work on her piano had caused her miscarriage. Nonetheless, he underscores that he loves his clients. He especially loves going into a home where a piano is in bad shape and turning around a situation that is causing a pianist some grief. He recently spent three hours transforming a Bösendorfer grand that was in bad shape. “It’s so gratifying to see someone who is unhappy end up with a smile on their face,” he said.